Two providers plummeted from ‘good’ to ‘inadequate’ after recent Ofsted inspections, in a week which has seen nearly every inspected FE and skills providers drop grades. Rotherham Borough Council and ID Training, a private provider in Newcastle upon Tyne, were both handed the lowest possible rating. ID Training was given a grade four in all categories in a report published July 27. The provider is on the register of apprenticeship training providers but a grade four in apprenticeships they will be removed. A grade four also typically means that the government will terminate a provider’s funding contract. ID Training was approached for comment did not respond by the time of going to press. Inspectors slammed it for not ensuring apprentices were trained sufficiently, for not teaching them about the risks associated with radicalisation and extremism, and for not involving employers sufficiently in reviewing their progress. “Achievement rates on apprenticeship programmes are low; too many apprentices do not complete their programmes successfully within their planned time,” the report said. The provider, which has 576 apprentices, was previously rated ‘good’ by Ofsted in April 2015. Leaders and managers at Rotherham Borough Council meanwhile came in for heavy criticism in a report published on July 28, which rated the council ‘inadequate’ in all areas except for personal development, behaviour and welfare, receiving a grade three. Managers do not ensure that they put “effective quality improvement plans” in place quickly enough, inspectors said. “Consequently, the progress that they make in improving courses is too slow. Inspectors added that managers do not review the quality of subcontracted provision “with sufficient rigour”. The council, which teaches around 1,500 learners, was previously rated ‘good’ in July 2014. There was also a disappointing inspection for Andrew Collinge Training, a Liverpool-based private provider, which lost its ‘outstanding’ grade and dropped to ‘good’. Its teaching, learning and assessment of functional skills English and mathematics, let it down, according to inspectors, who wrote: “Apprentices do not always improve their skills quickly enough; they do not make the progress of which they are capable, particularly the most able apprentices. But inspectors did note that leaders, managers and tutors promote a “culture of excellence”, which “fosters high levels of hairdressing creativity and innovation in apprentices”. The creative director and tutors at the provider also use their “excellent” practical skills and subject knowledge to “enable apprentices to produce exceptional standards of practical work”. Two other private providers, the London College of Beauty Therapy and East Midlands Chamber, lost their ‘good’ ratings, slumping to ‘requires improvement’. Ofsted said the quality of teaching, learning and assessment is “no longer consistently good” at LCBT, and lecturers do not plan learning “sufficiently well enough” to meet learners’ individual needs. Assessors, training advisers and employers at East Midlands Chamber were criticised for not collaborating “sufficiently” to review apprentices’ development, nor for setting challenging-enough targets to help them make better progress. LEO Training, an independent provider in Bournemouth, meanwhile received another grade three. To increase its rating, leaders and managers at LEO should “produce, monitor and verify accurate data on learners’ achievement, attendance and progress and use this data to scrutinise learners’ performance and improve courses”, inspectors said. It was good news however for Somerset Skills & Learning CIC, an adult and community learning provider, which received a grade two in its first ever inspection report. 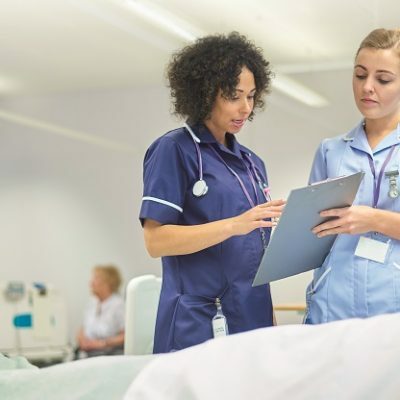 The provider was handed ‘good’ ratings across the board, and leaders and managers were praised for having “highly productive partnerships” with a large number of local and regional stakeholders. “As a result, the curriculum meets the needs of learners, local communities and local enterprise partnerships well,” inspectors said. Lastly, one private provider, Youngsave Company, held onto its grade two following a short inspection this week.